While Mr and Mrs Smith name a five-room boutique hotel as a stellar honeymoon option just think of how much more special your post-wedding getaway would be if you snagged your own luxury villa rental complete with VillaHotel services. That means you get treated as well as you would at a five-star hotel with the bonus of a gorgeous private home and grounds, truly an experience that everyone should have at least once. And what better time to choose a luxury villa rental than your honeymoon? Aside from the beauty of your luxury villa, St. Tropez also offers a host of choices and activities for newlyweds who choose the luxury villa rental option. You can enjoy your privacy by your pool or head down to one of the exclusive beach clubs on the Cote d’Azur’s sandy shores, stroll around the Place aux Herbes or vineyard hop. Choose people watching by day and raucous nightclubs by night or decide instead to retire to a candlelit dinner arranged by your own personal butler. Honeymoons are a time to pull out all the stops and one can’t go wrong following Vogue and Mr and Mrs Smith’s advice and heading to France for the trip of a lifetime. 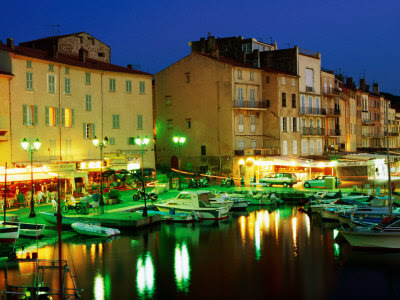 This entry was posted on Friday, September 24th, 2010 at 7:00 pm	and is filed under Saint-Tropez. You can follow any responses to this entry through the RSS 2.0 feed. You can leave a response, or trackback from your own site.